His interest in alignment also continues outside of business, as he has endured 20 years of various physical therapies to try and better align his knee, hip, back and ankle. Andrew started his career with Carpedia in 1997. From there he went on to various companies in the building materials, aluminum and construction industries as Vice-President of Operations, Vice-President of Sales, General Manager and President. He has held leadership positions in companies with 25 to 1,200 employees, in unionized and non-unionized environments for both publicly traded and privately held firms. He returned to Carpedia in 2017. Andrew graduated from Queen’s University with a Bachelor of Commerce degree. 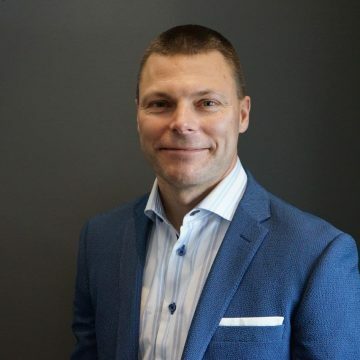 He has held the role of Chair of the Canadian National Composites Council and is a recipient of the Canadian Plastics Industry Association Leadership Award. He also focuses a large amount of his time coaching life skills to his three children. This audience is usually his most challenging.